In the Tort Talk blog post a few days ago on the recent Schuylkill County Court of Common Pleas Post-Koken decision in the case of Wall v. Ebersole, Erie Ins. and Donegal Ins., in which Judge Miller ruled in favor of keeping the claims consolidated, it was noted that Judge Miller relied upon a prior Schuylkill County decision issued by Judge John E. Domalakes in the case of Foster v. Naresh and Atlantic States Ins. Co., No. S-2298-2013 (C.P. Schuylkill Co. April 29, 2014 Domalakes, J.). [Click HERE to view that post on the Wall case]. A copy of the Foster decision has been secured. According to the Opinion, the Defendant UIM carrier filed Preliminary Objections to the Plaintiff's Complaint alleging a misjoinder of the negligence claim against the tortfeasor with the breach of contract claim against the UIM carrier for UIM benefits under one caption in violation of Pa.R.C.P. 2229, pertaining to permissive joinders of causes of action. With this argument, the defense cited to a prior Schuylkill County decision by Judge Jacqueline L. Russell in the case of Corridoni v. Temple and MetLife (click HERE to view that Tort Talk blog post), in which a ruling was handed down severing the negligence claims against the tortfeasor from the UIM breach of contract claims against the UIM carrier. The UIM carrier Defendant in the Foster case also argued that allowing the claims to be consolidated would improperly bring evidence of insurance before the jury at trial. In reaching his decision in Foster, Judge Domalakes emphasized the reasoning of Judge Terrence R. Nealon in the Lackawanna County Post-Koken decision in Bingham v. Poswistilo, 24 D.&C.5th 17 (C.P. Lacka. Co. 2011 Nealon, J. ), finding that Judge Nealon had reviewed the same issue in great detail and with thorough reference to the cases to date. In the end, Judge Nealon ruled that negligence and UM/UIM claims could be permissibly joined under one caption pursuant to Pa.R.C.P. 2229(b) and that a trial court judge could properly address the issue of evidence of insurance at trial. 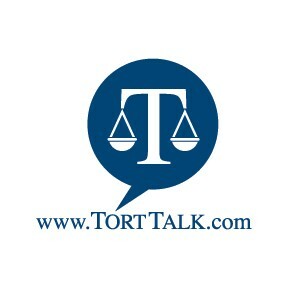 [Click HERE for the Tort Talk blog post on Judge Nealon's decision in Bingham]. Judge Domalakes also referenced the Pennsylvania Superior Court decision in Stepanovich v. McGraw as indicating a leaning of that court that the joinder of claims was not improper and that a trial court judge could indeed deal with issues of insurance at trial so as to avoid prejudice to any party. In light of this suggestion by a reading of the Superior Court's Stepanovich decision, which post-dated the prior decision of Judge Domalakes's colleague on the Schuylkill County Court of Common Pleas in Corridoni, Judge Domalakes chose to follow Judge Nealon's analysis in Bingham and denied the UIM carrier's Preliminary Objections and allowed the case to proceed in a consolidated fashion. The Foster decision is a good read as Judge Domalakes, as did Judge Nealon in the Bingham case, suggest ways in which a trial court judge could allow and monitor the mentioning of insurance at a Post-Koken trial. 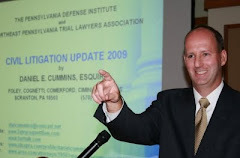 Anyone wishing to review Judge Domalakes's Foster decision out of Schuylkill County (or any other decision mention in this post for that matter) may contact me at dancummins@comcast.net. I send thanks to Attorney Stephen J. Devine of the Media, PA Law Offices of Kenneth R. Schuster and Associates for providing me with a copy of the Foster decision.